We celebrated our eighth episode (No, we didn’t think we’d get this far either) featuring Joe in Bugaha from Jim Rome Show fame and a great local band, Band 13, in studio. As per usual, we were joined by the equally lovely and talented Laurie Kunkel @LaurieJenn plus new Fake Ned Minutes and Laurie Jenn Minutes. We record every Sunday around 4:00 and stream that live right here on the website. If you can’t catch the live show, we podcast it via iTunes and Stitcher Radio as well as have the video of our Cavalcade of Stars available up on YouTube. 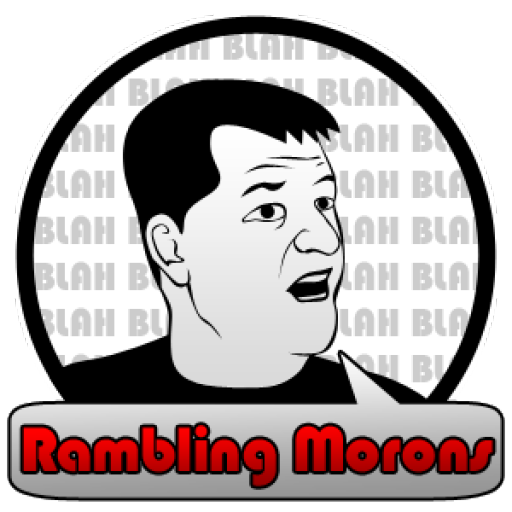 If you’ve got any questions for the group, make sure to tweet us at @RamblingMorons, @FakeNedYost or @LaurieJenn and we’ll be sure to answer them during the show. 01:00 – Laurie’s hair is fantastic, don’t you think? Kind of that “I don’t give a rip” look. 03:00 – Our News Segment, it’s likely we forgot the funny this week. If you’re free Saturday, please check out the Royals Charities event “Challenge Your Fashion” helping the YMCA Challenger Program. #RIPFakeNedsWife – Kara tore her MCL playing XBox Kinect, she is not alone. Platte City’s Business of the Year was also employing an alleged murderer, and dismemberer. Breaking News: Man in Missouri drinks while mowing the lawn. 18:30 – Interview with @JoeInBugaha about his involvement with the Jim Rome show, his new website and his Twitter awards. 29:00 – Band 13 – great local band. Catch them on January 27 at the Coda Bar & Grill. We close out the show with my order for chicken fingers and Laurie’s order for a job. We recommend THIS as a policy and procedure for Laurie. Tune in next week when we’ll have Laz (@HeyCameraman) and Randy @1800Randy both in studio!